November 2018 Membership display and some post cards that have started to appear through a workshop for the Presidents Challenge. October 2018 Show and Share, the members are so creative and their stories behind their quilts are just as interesting. Thanks for sharing! The President’s Challenge for 2018 is done! Irena chose this challenge to honour Rosemary Hamelin’s memory. Rosemary had a special love for Africa where she worked as a geologist for many years, and for Mexico, where she was deeply involved in an artistic community. 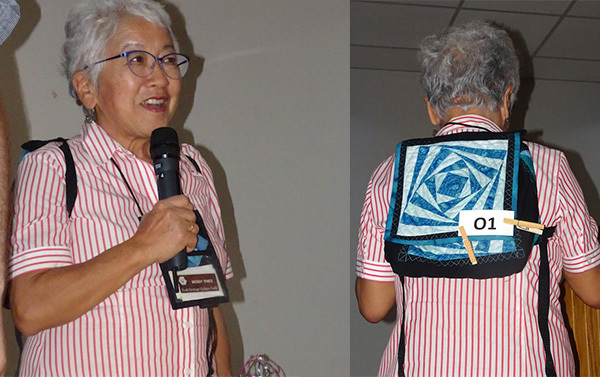 She went on many quilt retreats and had a wide of quilting friends. And she rode a motorcycle! We created kits of fabric from her stash- and sold 100!! Proceeds were donated to charity in her name, and you were challenged to create a quilt including these fabrics in your final piece. Many of these passions could be seen in the completed quilts. 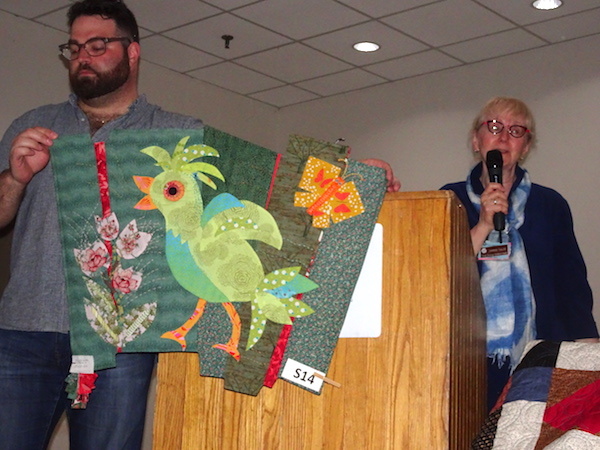 Then the viewer’s choice quilts were announced- Jan McGoey won in the large quilt category, Carole Tullis won in the wall quilt category for her whimsical bird, and Wendy Dines won for the backpack she made. Congratulations to the winners, and all those who entered! And the winner of President’s Choice is Marilyn Barker, with her quilt Masai Welcome. 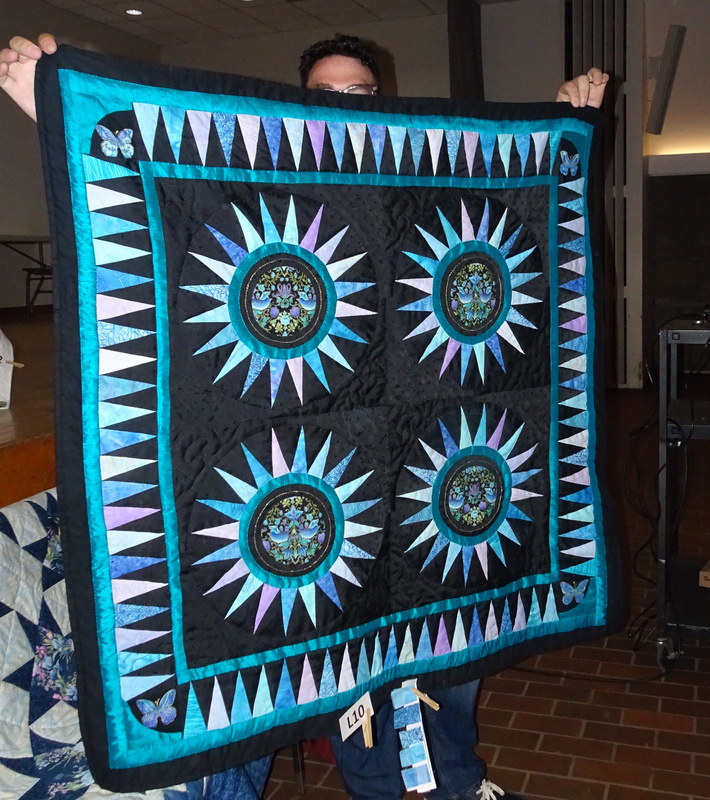 It’s back again… The York Heritage Quilters Guild T.G.I.F. Awards! A fun and friendly competition open to members of our guild. If you are of those people who always starts a quilting project, focuses on it until it is quickly completed, you may not have a UFO lurking amid your fabric stash. But for the rest of us who are mired in UFO’s, here is an incentive to complete one of them! Extra points to you for having a quilt ready to enter in the Celebration of Quilts to be held in November 2017!! We are hoping to see a lot of new quilts courtesy of this competition. 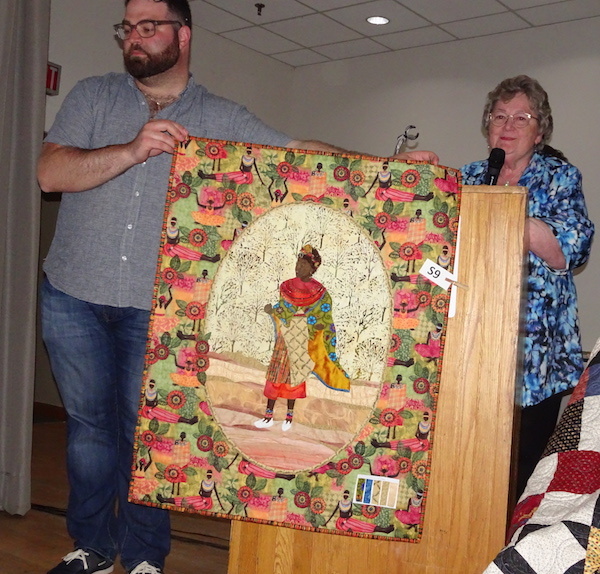 Completed quilts will be displayed at the York Heritage annual Meeting in May, 2017 and those present will vote for viewer’s choice as well as a variety of categories (yet to be revealed). Entries can qualify for more than one category. Winners in each category will receive a York Heritage T.G.I.F. Award. If you wish to email your form and photo, please email it to our president Laurissa: yhqg.president@gmail.com , and she will re-direct it. You have 6 months to complete it and then bask in the admiration (and envy) of your fellow guild members. Keep posted for further enticements!! Last year we were challenged to “Make It Modern”, using our old stash.. here is what our members came up with!